A vital part of the modern automated supply chain is the reliable and consistent readability of the barcodes used within it. Having a high quality and accurate barcode is vital if goods are to travel through the supply chain without manual intervention. As such, the verification or grading of these barcodes is an important element in achieving this goal. Barcode Verification is a complex field with numerous ISO (and other) standards governing barcode print quality, symbologies and structures, so it’s important that any barcode QA procedure conforms to these industry standards. At AIS UK we have a great deal of experience and offer a wide range of barcode verification and validation equipment that plays an important role in ensuring that barcode print quality is of an acceptable standard and that the encoded data is accurate. To learn more about the importance of barcode verification, follow this link. Our range of offline Barcode Verifiers from Label Vision Systems are available in desktop and handheld models and provide the most comprehensive barcode verification and grading results available. 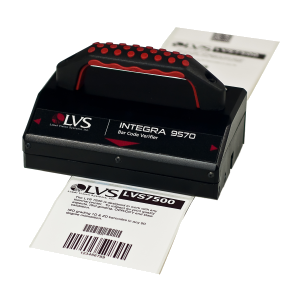 Capable of verifying both 1D and 2D barcodes, GS1 Certified and strictly compliant with ISO/CEN/ANSI barcode quality and symbology specifications, the LVS® range offers the complete solution for all your verification needs. To learn more about our GS1 certified 1D and 2D Barcode Verifiers, follow this link. A Barcode Validation system will scan the barcode to confirm that it can be read and that the barcode number is correct. Barcode validation does not provide a grading result or report back on print quality, but does provide an important quality check to confirm that a barcode is present, correct and readable. 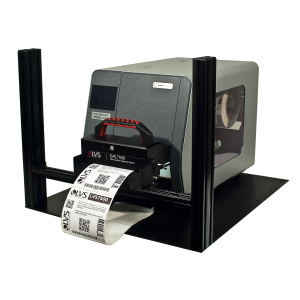 Our barcode validation solutions provide 100% high speed validation for both conveyor and printer mounted applications and are an extremely cost effective method of ensuring that the correct labels and packaging is being used for your products. To learn more about Barcode Validation systems, follow this link. 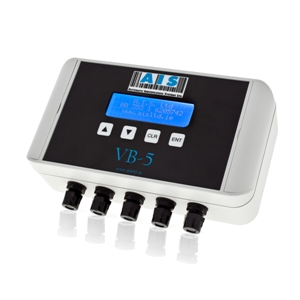 In addition to our barcode verification and validation solutions, AIS UK also supply a range of systems from LVS® that provide 100% inline print quality inspection to work in conjunction with thermal label printers or in high speed wide web printing applications. These system offer full ISO barcode verification, barcode validation, text inspection with OCR/OCV, full label blemish detection and for wide web applications, Delta E colour verification. To learn more about our label Inspection systems, follow this link.